Sometime ago I fasted for Ramadan and wrote a series of reflections, as a Christian in conversation with Muslim friends, on the spirituality of compassion embodied in the Bismillah - 'In the name of God, the most Gracious, the most Compassionate'. It was my hope - indeed, my deepest, heartfelt prayer - that Muslims would give this book to Christians, Christians would give this book to Muslims, and Christians and Muslims would come together, to read and to reflect on what we can learn from each other about the amazing Grace and Compassion of God exemplified in the Bismillah. Since then I have had many conversations with Muslim friends about Isa (Jesus) as an embodiment of the Grace and Compassion of God exemplified in the Bismillah. Unfortunately so many conversations between Christians and Muslims about Jesus deteriorate from dialogue into debate and debate into dispute generating more heat than light on the subject. Often this occurs because both sides want to impose their own particular view of isa or Jesus on the other and are unwilling to respect the other person's particular point of view. In order to avoid unnecessary and unproductive disputes, my Muslim friends and I have conducted our conversations based on those views of Isa or Jesus that the Qur'an and the Injil - or the Gospel as recorded in the Gospels in the New Testament, Matthew, Mark, Luke and John - have in common. While we acknowledge the significant differences Christians and Muslims have, we have intentionally tried to focus on those beliefs about Isa or Jesus that Christians and Muslims have in common as the place for us to start our conversations, treating common ground as sacred ground on which we can stand and speak to one another. People can read these reflections any time. Any time is a good time to read writings that can help us reflect on the birth, life, death and return of Isa, Masih, the Messiah. However, I have written these reflections in a way that Muslims might find particularly helpful to read in Ramadan - the month of fasting for Muslims - and Christians might find particularly helpful to read in Lent - the month of fasting for Christians. 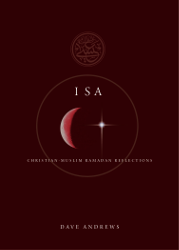 When you open the book, you will find the reflections in Isa are written with ten takes on four themes. The ten takes on four themes provide enough reflections for Ramadan - 4 weeks x 7 days (+3 extra sets per week) and for Lent - 40 sets for 40 days. My friend Greg Manning tells me that in about ten years time Ramadan and Lent will be coming together. Wouldn't it be wonderful if we could read these reflections over and over again before then, so when the time comes, we could reflect on the birth, life, death and return of Isa Masih while fasting together in the spirit of the Bismillah. In order to facilitate more meaningful conversations based on these reflections, at the end of each theme I have suggested some questions that Christians may want to think about, some questions that Muslims may want to think about and then some questions that Christians and Muslims may want to talk about with each other. To help with conversations, English words commonly used by Christians are in plain print, while Arabic words commonly used by Muslims are italic type, and there is a glossary for words people may not be familiar with in the back of the book. I'd like to thank Charles Ringma and Mohamad Abdalla for writing such beautiful introductions as a way of encouraging us to begin those important conversations. Some time back I wrote the following poem about Jesus' Sermon On The Mount which I entitled 'Jesus Song'. After following him for more than fifty years, the 'song' of Isa still enchants my heart, and I trust it will enchant your heart too. The sun rose early; climbed into the sky. Took away the cold night air; brought the warm dawn light. And Jesus sat upon a rock, looking round at the gathering throng. Who came to the mount to hear him speak; to hear him sing his song. Many of them were desperate; many of them were poor. Tho' you feel sad - his grace is going see you through. Don't lose your temper - in the end you're going win this fight. 'When you show mercy - then mercy will be shown to you. Act with integrity - and you'll see your vision come true. Where you solve conflict - they'll call you the "children of God"
Christianity with its focus on what God has sought to do in Christ, the Messiah, was forged in a setting of other religious traditions. In those days the most significant was the Jewish religion and, as Christianity spread into the Greco-Roman world, it had to respond to the mystery religions and the all-pervasive Greek philosophies. And so it has been ever since. No religious tradition exists in a vacuum - all nice and comfortable within itself and by itself. There has always some interpenetration, some reaction and some dialogue. The New Testament cannot be understood well without reference to the Old Testament, New Testament ethics has some reference to Stoicism and aspects of John's gospel need to be understood with reference to Greek philosophy. What this means is that though insiders of a particular religious tradition may make the claim of a water-tight revelation, all religious traditions are porous and subject to other influences. Not only is this so, but many religious practitioners have sought to learn from other religious traditions. The famous 20th century Trappist monk, Thomas Merton, realized that there were things he could learn from other monastic traditions regarding community life and ways of prayer and meditation. And where this exploration took place in an atmosphere of mutual respect, clearly all could be enriched in some way. Dave Andrews, like Thomas Merton, is on a similar journey. As a leading community development practitioner he has enjoyed the friendship of people from various religious traditions. This friendship has led to interesting discoveries, including that people from faiths other than the Christian faith in which he is located and which informs his community development practice, also share similar concerns about a more just world, seeking ‘the welfare of the city’, the art of reconciliation, strategies that lead to peace, and seeking to build the common good. And more than this, he has also discovered commonalities about prayer and other spiritual practices. Since community development involves building community in order to achieve the common good, it is hardly surprising that Dave has sought to find common ground with his Muslim friends. And in this reflective reader he has sought to bring about a respectful listening regarding the Messiah from the New Testament tradition and that of the Muslim faith. This is always precarious work. And Dave Andrews has not shrunk from this challenging task. The reason why this work is fraught with difficulty is because inter-faith dialogue is so quickly seen as an attempt to accommodate the one faith tradition to the other. And as consequence, the term compromise quickly gets used. Dave, however, avoids the under-water rocks that can sink a ship of faith. He does not set himself up as teacher-expert. Instead, he is the facilitator who gives scenarios regarding Jesus, the “Son of Man”, from both traditions. The reader is invited to read more of both traditions and to reflect on questions raised at the end of each reflection. Thus Dave invites the reader to further probing rather than to neat cut-and-dried answers. And indirectly he invites all of his readers to be so secure in their faith tradition that they can place themselves open to exploring what others think about major themes of religious traditions. Thus the book seeks to engender an attitude of openness to dialogue, rather than maintaining, as we often do, a closed door to others, or at worst a brutal dismissal of what other people believe, without ever having discussed these matters with persons of the faith we have outrightly condemned. One way forward as we think about how Jesus is portrayed in both traditions, is to pick up on the theme of humans made in the image of God (Genesis 1:26). This concept means that all women and men carry the mark of God’s creative activity in their lives, and we may say, in their very being. This gives all of us a fundamental commonality. And the New Testament reflection on Jesus takes up this commonality and gives it a challenging twist. There we find the theme that the “Messiah” is the true or full image of God (1 Corinthians 11:7; 2 Corinthians 4:4; Colossians 1:15). Thus whatever titles we may or may not want to attribute to Jesus, the idea that this person is the reflection of God and that we are called to be like him so that we too may be the fuller image bearers of God and may reflect God’s way and God’s concern in our world, is one way to find common ground regarding this person who has so profoundly shaped human history. While none of the above directly answer the question of how we may understand who this Jesus is, they do point us into a certain direction. This is the music of a vision of God who is beyond our narrow limits. This is the song of a God for all and close to all: a God in whom we have our very being. And this God is one who draws close and nurtures us, including in the Stranger from Galilee. Charles Ringma is a Brisbane based theologian who has served in Asia, Canada and Australia. He is Emeritus Professor of Regent College, Vancouver; Research Professor Asian Theological Seminary, Manila; and PhD Supervisor The University of Queensland. Muslims have always believed in the Prophethood of Jesus - or ‘Isa - (peace be upon him) not due to political expediency but because it is an integral part of their faith. In fact, to reject Jesus, his Prophethood, or that he was born from a virgin mother is tantamount to disbelief. The Qur’ān (Islam’s Holy Book) is replete with anecdotes about the life and teachings of Jesus including his miraculous birth; his noble teachings; the miracles he performed by God’s permission; and speaks of him as a respected Prophet of God. Furthermore, the Qur'ān repeatedly reminds its readers that Jesus was a human being sent with the same message that other Prophets and Messengers were assigned to deliver: there is no god but God, who ought to be worshipped alone. It is profound, to say the least, that Islam is the only religion (other than Christianity) that recognises Jesus and makes it compulsory upon its adherents to believe in him. With the exception of divinity attributed to Jesus by Christianity, there is more in common between Islam and Christianity about Jesus than not. It is for this very reason, and the fact that Jesus received a divine revelation (the Injīl or Gospel), that the Qur’ān recognises Christians (and Jews) as people of the scriptures (Ahl al-Kitāb), and not ‘infidels’ as some may assume. The honorific title of Ahl al-Kitāb gave them a special place in Islam and the Islamic civilisation. The following points should suffice as an example. In 628 C.E. Prophet Muhammad granted a Charter of Privileges to the monks of St. Catherine Monastery in Mt. Sinai. It consisted of several clauses covering all aspects of human rights including such topics as the protection of Christians, freedom of worship and movement, freedom to appoint their own judges and to own and maintain their property, exemption from military service, and the right to protection in war. This became the standard Charter when dealing with Christians. When Umar ibn al- Khattab (the second Caliph of Islam, d. 644 C.E.) conquered Jerusalem (638 C.E. ), he allowed the existing Christian population to stay, to keep their churches, and to freely worship despite his profound disagreements with their theology. He upheld the Sharia’s requirement of just treatment of Ahl al-Kitāb (Christians and Jews), and accordingly, the only request by Christians that Umar refused was that that Jews not be allowed back into the Holy city. In fact, and to make a point for future followers, the Christian officials urged him to spread his carpet in the Church (of the Holy Sepulchre) itself, but he refused saying that some of the ignorant Muslims after him might claim the Church and convert it into a mosque because he had once prayed there. It is often assumed, especially in today’s politically charged environment, that Islam and Christianity - and by extension ‘Islam’ and the ‘West’ - have less in common than otherwise. This is not only deceptive but also contravenes past and existing facts and realities. The interconnectedness, as I like to call it, between Islam and Christianity (and between Islam and the Western civilisation) is deeply seated and can only be rejected through ignorance and hubris. This interconnectedness abounds and manifests itself historically in the fields of science, medicine, astronomy, philosophy, mathematics and the ethical/moral/spiritual dimensions. It was Assyrian Christians who helped in the early translation movement that succeeded in translating into Arabic the ancient works of the Greeks, a movement that lasted for 300 years and the like of which humanity has not seen. It was the works of Aristotle, Galen and Ptolemy among others―the very roots of the Western world―that ignited the spirit of inquiry among Muslims. And it was the Muslims who edited, critiqued and contributed to these works, which eventually played a vital role in the making of Europe and its renaissance. And of course, there is no one who demonstrates this interconnectedness between Islam and Christianity than the person of Jesus (peace be upon him). For no Muslim would reject Jesus’ moral/ethical teachings and would find solace in his asceticism and spirituality, care for the poor and needy, moral integrity, profound love of God and for God, and his message of peace and love for friend and foe. It is the same Jesus who inspired many Muslims to write and speak about him, and name their sons after him. This is Jesus who is held in the highest esteem among Muslims and Christians alike, and who will continue to influence the lives of millions of people. 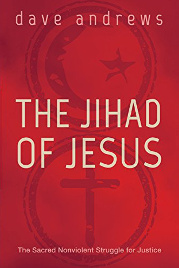 Hence, I commend Dave Andrews for being so insightful as to write these wonderful reflections about Jesus to further enhance, or even revive, the ‘interconnectedness’ between Muslims and Christians in a time of suspicion and hostility. His work is a testimony to his goodness and genuine desire to bring people of different faith persuasions together, to discuss about Jesus in a respectful and noble manner. Dave, of course, is already known for his positive work with both communities, and this treatise that is now before your hands will further solidify his gracious efforts. Dave’s concern undoubtedly stems from compassion, that which the Qur’ān refers to when it declares: ‘… After those [messengers] We sent Jesus the son of Mary: We gave him the Gospel and put compassion and mercy into the hearts of his followers…’ (57:27). There is no doubt in my heart that the best way of building bridges of understanding is through respectful dialogue, and meeting people face-to-face. This conviction is based on personal experience after the tragic events of 11 September 2001. Meeting people and allowing for genuine and respectful engagement helps us to grow and nurture our humanness. Dave’s approach will surely help us get closer to this noble end. I ask God Almighty to bless this honourable treatise and grant success to its author, Dave Andrews, in bringing people together in a way that can enhance our humanity, country and us individually.